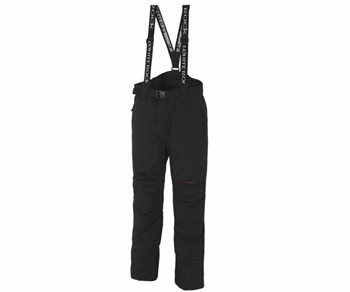 The Storm Men's Snow Trousers from White Rock are the perfect pair of ski salopettes for beginners through to expert skiers and snowboarders. Made from 100% windproof material with fully taped seams, waterproof to an 8000mm hydrostatic head, and breathable to 8000gm, they ensure that you stay completely dry and comfortable, whatever the weather. The Recco system integrated into the design is an added safety feature, allowing you to be easily found if you have an accident or are caught in an avalanche situation. The White Rock Storm Mens Ski Trousers are fully micro-fleece lined for warmth and comfort, and feature detachable braces and articulated knees to allow for movement. Full leg gaiters, scratch pads, a belt and cordura bum patch are all included and the White Rock Storm are available in 2 stylish designs. Sizes: Sizes S - 3XL / 31"-41"